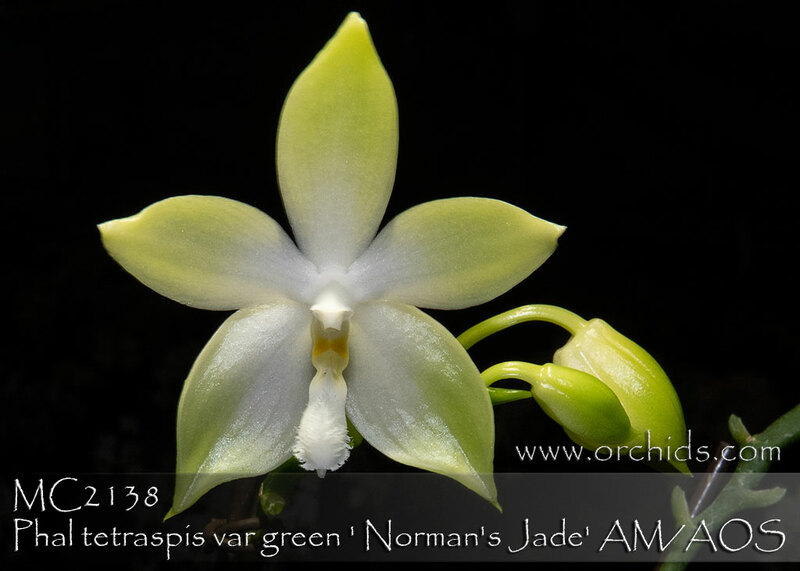 Just awarded an AM/AOS at Long Beach, this is a first release limited Stem Prop which was hand-selected from a seedling population of the green form of Phal. 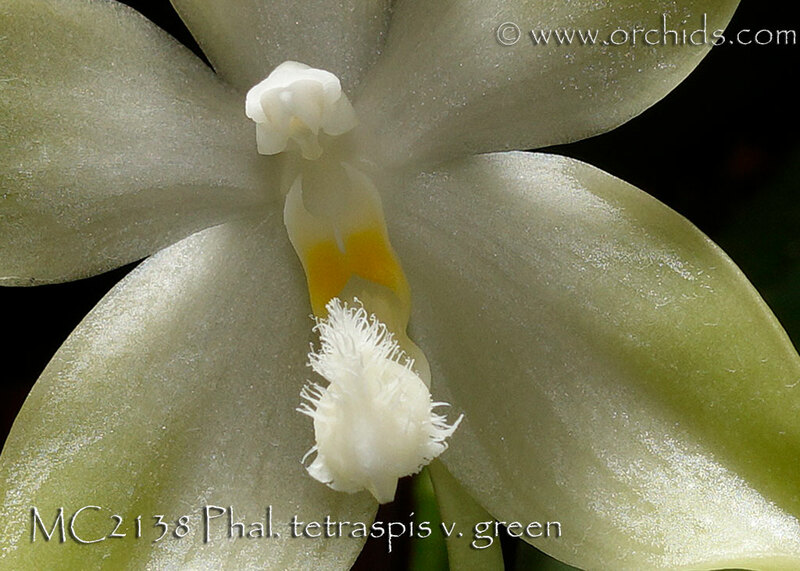 tetraspis as a very rare & exceptionally green form of the species. 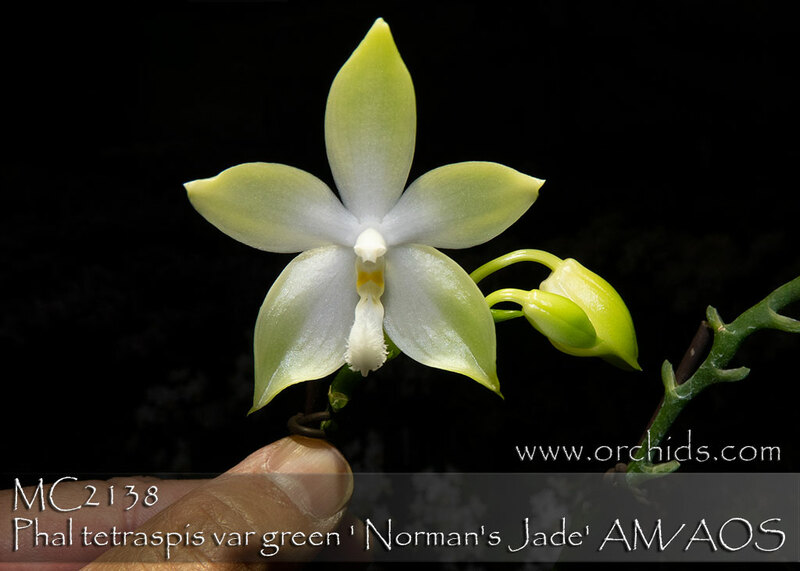 ‘Norman’s Jade’ is a free bloomer, producing good size fragrant flowers, up to 8 flowers on each tall branching erect inflorescence held well above the foliage. It will be a valuable parent for future breeding for greens, capable of flowering in just 2.7” pots. Very Highly Recommended for future green hybridizing programs !